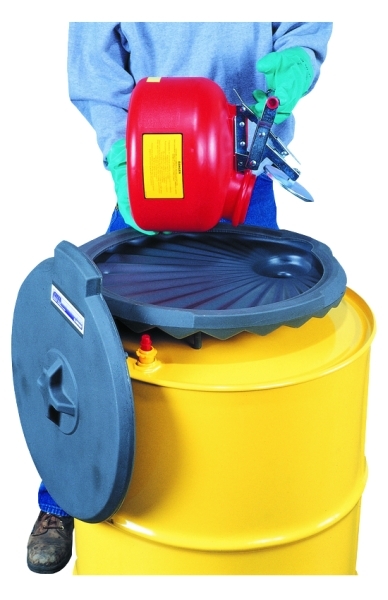 Reduce spills when decanting liquids into drums. It safely keeps your drum tops tidy and spills to a minimum. Fits drums up to 205L and keeps liquids from resting when draining. Made of 100% polyethylene, it will not rust. • Secondary containment for spills and drips.